Which, hatch’d, would as his kind grow mischievous. Timothy Wirth: We called the Weather Bureau and found out what historically was the hottest day of the summer. Well, it was June 6th or June 9th or whatever it was [actually, June 23]. So we scheduled the hearing that day, and bingo, it was the hottest day on record in Washington, or close to it. Deborah Amos: Did you also alter the temperature in the hearing room that day? Timothy Wirth: What we did is that we went in the night before and opened all the windows, I will admit, right, so that the air conditioning wasn’t working inside the room. And so when the hearing occurred, there was not only bliss, which is television cameras and double figures, but it was really hot … The wonderful Jim Hansen was wiping his brow at the table at the hearing, at the witness table, and giving this remarkable testimony. Hansen’s one-time NASA supervisor, the atmospheric scientist John S. Theon, wrote in 2009 that Hansen “embarrassed NASA” with his alarmism: NASA in 1988 knew little about any human-caused warming. Theon himself was responsible for all NASA weather and climate research, including Hansen’s. Hansen’s later activism included being arrested in 2009, 2010 and 2011 during his anti-coal-mining demonstrations. In 2007, in testimony to the Iowa Utilities Board, he likened coal trains to “death trains”, saying they would be “no less gruesome than if they were boxcars headed to crematoria, loaded with uncountable irreplaceable species”. Hansen has also called for chief executives of big fossil fuel companies to be tried for “high crimes against humanity and nature”. Enough of Hansen, typically described as “one of the world’s leading climate scientists”. This article will go back further to see how the warming crisis originated, and where the IPCC (Intergovernmental Panel on Climate Change) has taken this issue by 2012. By the influence of the increasing percentage of carbonic acid in the atmosphere, we may hope to enjoy ages with more equable and better climates, especially as regards the colder regions of the earth, ages when the earth will bring forth much more abundant crops than at present, for the benefit of rapidly propagating mankind. However, he hugely underestimated how long the doubling from pre-industrial levels would take: he thought 3000 years; we now think it is likely to happen between 2050 and 2100. The next big Swede was Bert Bolin. He should be (but isn’t) a household name as the man who galvanised the modern world about carbon dioxide. Bolin pioneered computerised weather forecasting (using the original ENIAC electronic computer) and was quick to endorse the then-sketchy hypothesis that carbon dioxide “pollution” from fossil fuels was a threat to civilisation. The computerised climate models of those days were ineffably crude—even today, after billions in research funding, climate models are still conceded by the IPCC to have serious flaws and limitations. However, the time was ripe for this new environmental cause. The scare de jour was the Club of Rome’s “limits to growth”; but catastrophic global warming went one better on the angst scale. Bolin led the science effort, through his chairing from 1964 of the International Council of Scientific Union’s (ICSU’s) key committee on the atmosphere. This high profile led him to chair conferences, become lead editor for reports, and chair successor bodies run jointly with the World Meteorological Organisation (WMO) from 1967. From there he vaulted to the inaugural IPCC chair (1988–97). He propagated modelling results predicting that doubling carbon dioxide would boost warming not by the accepted 1 degree Celsius but by as much as 5.5 degrees through hypothesised “feedbacks”. The attention-getter was that this would occur within the time of one’s grandchildren—from around 2030. Bolin’s able supporter was Mostafa Tolba, Egypt’s head of the United Nations Environmental Program (UNEP) from 1975 to 1992. Tolba’s landmark success was the Montreal Protocol on CFC chemicals and the ozone hole in 1987. He also took up the cudgels against acid rain, which turned out to be localised glitches. The carbon dioxide politicisation got under way at a key conference at Villach, Austria, in 1985, run by the ICSU, the UNEP and the WMO. Even the conference’s title specified that carbon dioxide was the villain in warming, although this had yet to be demonstrated. One hundred scientists and bureaucrats attended the conference by personal invitation and in their personal capacity. They were encouraged to make their resolutions without accountability to parent bodies. The ICSU had prepared a dire, model-based climate report. After a single day’s discussion, the report was officially adopted, although attendees agreed to tone down the top warming estimate from 5.5 degrees to 4.5 degrees to make it more politically saleable. They also cut the upper limit of the forecast sea-level rise from 165 centimetres to 140 centimetres, for the same reason (hence science by consensus). A fly in the ointment was that the WMO declined to affirm that carbon dioxide was causing global warming, so the report had to be equivocal on that. This Villach science report became the received text for similar environmental conferences and reports that followed, such as the 1987 Brundtland Report (Our Common Future), assembled under the guidance of Bert Bolin. The UNEP’s style under Tolba was to go over the heads of national politicians direct to green lobbies and the media. This forced the politicians into action. Momentum came to a head at the June 1988 “Toronto Conference on the Changing Atmosphere”, which brought together the governmental, scientific and activist communities. Incidentally, three months prior to this conference Bolin was already calling for a carbon emissions tax. The thirty governments formally represented at Toronto pledged to cut their carbon dioxide emissions voluntarily by 20 per cent (from 1988 levels) by 2005, to head off warming and sea-level rises. They also set their seal on the creation of the Intergovernmental Panel on Climate Change (IPCC), with Bolin as first head. The IPCC’s pre-foundation brief was to encourage and sum up the science as guidance for governmental policy decisions—no mention there of “human-caused” climate change. Technically, this was a neutral agenda. In practice, as Tolba put it to the first IPCC session, the IPCC should “bravely inform the world what ought to be done”. In the event, the IPCC charter in 1988 hardened up. It said the goal was to assess “the scientific, technical and socioeconomic information relevant for the understanding of the risk of human-induced climate change”. Global warming is the greatest crisis ever faced collectively by humankind. Unlike other earlier crises, it is global in nature, threatens the very survival of civilisation, and promises to throw up only losers over the entire international socio-economic fabric. The reason for such a potential apocalyptic scenario is simple: climate changes of geological proportions are occurring over time-spans as short as a single human lifetime. The IPCC’s 1990 report was of course unsatisfactory to the green movement, from top level (UNEP) down. Putting the political cart before the science horse, the UN drew up its “Framework Convention on Climate Change” (UNFCCC) treaty, which asserted human causation in no uncertain terms, and foreshadowed a regime of emission controls. At the famed “Earth Summit” in Rio in 1992, 154 states signed on. In somewhat Orwellian fashion, the “Earth Summit” redefined the term “climate change” to literally mean “human-caused climate change”. Natural climate change was then re-defined as “climate variability”. Additionally, according to Rajendra Pachauri, the IPCC charter was modified to explicitly state that it was to support the UNFCCC. The responsibility of each human being today is to choose between the force of darkness and the force of light. We must therefore transform our attitudes and values, and adopt a renewed respect for the superior law of Divine Nature. The sacred earth drummers maintained a continuous heartbeat near the conference centre, “as part of a ritual for the healing of our Earth to be felt by those who are deciding Earth’s fate”. The next IPCC report, scheduled for 1995, could hardly maintain the 1990 report’s “neutral” stance, given the Rio and UNFCCC anti-carbon-dioxide politics. In the event, the 1995 all-important summary for policy makers said: “The balance of evidence suggests that there is a discernible human influence on global climate.” This itself was a compromise, watering down the draft’s wording of “appreciable” human influence. Bolin says he also ensured that the conclusion was qualified with a phrase, “fully recognising the uncertainty”, but media, lobbies and governments subsequently ignored it. He also complained that many other points in the summary should have been qualified for uncertainties, but were not. Seitz, a former president of the US National Academy of Sciences and of the American Physical Society, said he had never witnessed “a more disturbing corruption of the peer-review process than the events which led to this IPCC report”. Bolin himself let a cat out of the bag. He revealed that the chapter heads Ben Santer and Tom Wigley had claimed, after inspecting the reviewed draft, that new evidence had arrived in the literature justifying a stronger conclusion on human causation. The chair of the science group, Sir John Houghton, thought this summary-strengthening was warranted and the bulk report was retrospectively amended. Human causation thus became scientific orthodoxy. But tangling the web that way offended some delegates, “who emphasised more the need to safeguard the credibility of the assessment process”, as Bolin put it. 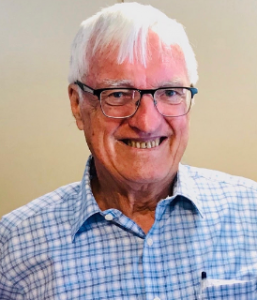 Melbourne IT expert John McLean, who has studied Houghton’s role in this souping-up of the conclusions of the 1995 report, says that the “new evidence” involved was a five-page draft paper submitted to Nature but not yet reviewed, let alone published. And who co-wrote this draft article? The chapter heads Ben Santer and Tom Wigley, along with about seven authors of the IPCC chapter and five other names. Somehow this conclusion had justified the 1995 IPCC summary: “The balance of evidence suggests that there is a discernible human influence on global climate.” The saga was prolonged when several of the paper’s authors were selected as authors of the 2001 report, which in turn cited the Nature paper approvingly. With human causation now “consensus”, the 2001 and 2007 reports toughened the language, upping the causation from “likely” (2001) to “very likely” (2007), on the basis of further modelling. The 2001 report also splashed in seven places the now-discredited Michael Mann “hockey stick” graph showing current temperatures to be at their highest for a thousand years. It is not quite true that the hockey stick disappeared in the 2007 IPCC report but the one reproduction there is accompanied by discussion about its validity. There is general consensus, presented in the TAR [2001 IPCC report] and widely accepted, that climate change in the latter half of the twentieth century, is due to anthropogenic forcing, and the emphasis for WG1 [the science section] should be on anthropogenic change rather than shorter term variability. This document went on to urge that the 2007 report writers play down paleoclimate information—how the earth’s climate has behaved over recent geological periods, which is something sceptics like to cite. to assess on a comprehensive, objective, open and transparent basis the scientific, technical and socio-economic information relevant to understanding the scientific basis of risk of human-induced climate change, its potential impacts and options for adaptation and mitigation. The IPCC charter has instead generated a circular process. Research funds pour into the human-attribution issue. Non-human causation has become the Cinderella of science, starved of funds and likely to kill your promotion prospects. Such research could put the IPCC out of business, and evaporate a lot of the science and technology funding (of which something like $80 billion has been spent since 1989 by the USA alone). neither IPCC models nor emissions forecasting are good enough to forecast extreme weather events up to the end of the century. Indeed, the IPCC report in 2007 pulled the rug from under its own models. It said that in terms of sixteen major climate forces, the “level of scientific understanding” was less than “medium” for thirteen of them, and for five, it’s “very low”. It is remarkable that IPCC scientists can build climate models—and trumpet the outputs—when they don’t understand climate. But as things now stand, the modellers will nearly all be retired or dead by the time their new grace period of twenty to thirty years is up. Doubts about modellers’ outputs wouldn’t matter if this was all just a morning tea debate among Kevin Rudd’s “humourless scientists in their white coats who go around measuring things”. One wishes it were only that. Tony Thomas, a retired journalist, worked for thirty years with the Age and BRW. He contributed “The Fictive World of Rajendra Pachauri” in the March issue. Worlds in the making: the evolution of the universe, p63 Harper, 1908. McLean, John, Climate Science Corrupted. SPPI, Nov 20, 2009, p7. Bolin, A history op cit P55. Table 2.11, p 201, Chapter 2, WG1, IPCC 4AR.